How Much Does It Cost to See the Light? The new $5,000 LED bulb? Not quite. But that’s the price you’ll pay for bleeding-edge tech like Ultra HD. (And that’s a bargain compared to the beginning of the year!) 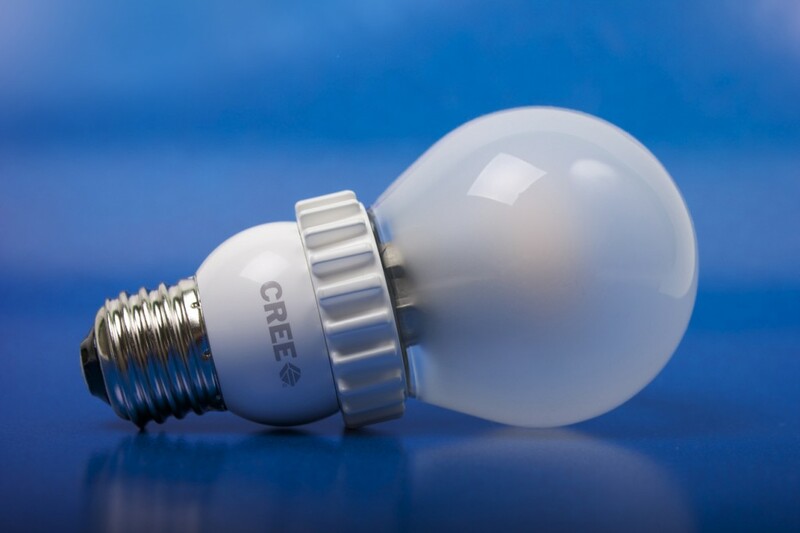 The new Cree LED bulb just broke the $10 barrier. Any takers? I’ve got two brilliant deals to report today. it’s if you wait long enough, the price will plunge. So every so often, it’s a smart idea to take another look at the pricey tech you covet, because you never know when it’s time to pull the trigger. Already Prime Time for Ultra HD TV? Last week, I ran into a colleague at work one morning, while waiting in the cafeteria line. He’s quite comfortable with his home tech and likes to chat with me about current video trends. He asked me if I expected to be using Ultra HD tech in the near future. Knowing this new, crazy-expensive TV format was still in its infancy, I shot him a look of doubt and said we were years away from that transition. He reframed his question and focused on the TV screens I work with. When would I be replacing my HD screens with Ultra HD versions? Again, I responded it wasn’t on my radar and not an imminent purchase decision. I paid for my oatmeal and was careful not to expose any non-verbal cues revealing my true position on how silly I thought this conversation really was. When I first blogged about Ultra HD TVs three months ago, the prototype screens at the Consumer Electronics Show cost a whopping $20,000! So why was my friend even bringing it up? Maybe he was just trying to strike up a conversation about the newest tech he’d read about. Tech heads talk all the time about gear they can’t afford, right? ‘quiet hour’ before my preschooler wakes up. I looked briefly at a marketing message from Best Buy promoting their new Sony 4K Ultra HD TVs. Did some marketing guru figure I’d won the lottery? But I clicked on the link anyway. That’s how much Sony’s new 55” 4K Ultra HD TV, which went on ‘pre-order’ sale last week costs. And its larger 65” cousin goes for a mere $7,000. That’s a pretty significant price drop from three months ago. Granted, these are smaller screens than their $20K cousins… but still! I’m still not sure who’s going to drop everything to run down to their nearest Best Buy to pick up a 4K TV at these still exorbitant prices. But in just ninety days, Ultra HD has evolved from science fiction to simply crazy money. It’s no longer entirely out of reach for some well-heeled early adopters. It is amazing to see how fast Ultra HD is taking hold. My friend was right on target to be talking about it. A similar story is brewing on the other side of the tech-pricing spectrum. Let’s review society’s pricey journey to replace the simple incandescent light bulb. It’s been difficult to beat Mr. Edison’s invention, because his 19th century technology, though wildly inefficient, gets the job done and costs about a buck a bulb these days. The CFL replacement program was largely a bust with those icky, slow-to-illuminate fluorescent bulbs that would wig out before their time and contaminate your house with mercury if they happened to break. And they never really came down in price. But LED light bulbs have also been wicked expensive. A year ago, I talked about Philips’ new LED dimmable light bulbs that were supposed to change the world. Their wonder LED bulb, won the ‘L Prize Award’ from the U.S. Department of Energy. But, the 12.5-watt champion is still selling for $50 at Home Depot!! They were really called AmbientLEDs. But I gave them the loving nickname, because they weren’t quite as efficient as their mighty L Prize cousins. Philips continued to improve on their LED light bulb tech, coming out with their next generation model this past January. it no longer has that Cylon-looking metallic exterior. It’s even more efficient, sucking only 11 watts, but it still costs a hefty $15. I’ve got to admit, $15 for a 60-watt replacement bulb is better than $50, but I’m guessing the relatively high prices have limited LED bulb use as a fringe science experiment for tech geeks. Last week, I went to Home Depot’s website and noticed their homepage had been taken over by something called Cree. Actually, it’s a North Carolina-based LED manufacturer that seemingly out of nowhere has shaken up the competition with their new consumer friendly LED bulbs. Their design almost exactly matches their incandescent ancestors, and the pricing can’t be beat. 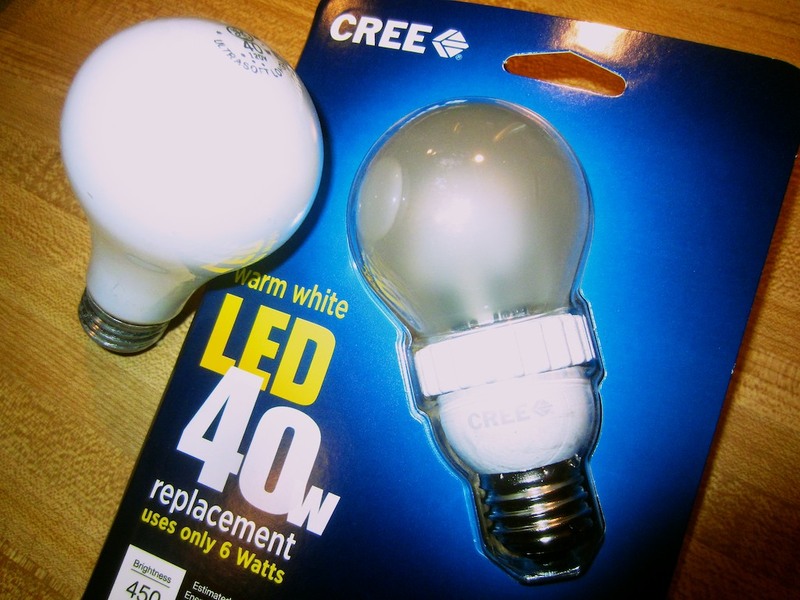 In fact, Cree has just broken the $10 LED bulb price barrier. Home Depot is their big distributor right now. I know it’s hard to get too excited over a light bulb, but I’ve got to give credit to the marketing team at Cree. They’re putting the company on the map with a clever TV adverting campaign that features actor Lance Reddick, who played Agent Broyles on the sci-fi TV series, Fringe. Reddick isn’t really spoofing his TV character, but by playing his pitch straight while delivering some intentionally silly lines, you feel like you might be watching outtakes from a Fringe episode in the alternate universe. $5,000 for a super sharp Ultra HD TV that can’t be beat? $10 for a light bulb that’s 84% more efficient? Anyone ready to pull the trigger on this brightest tech available? …went to Home Depot yesterday to pick up a few Cree LED bulbs. Okay, so it’s clearly easier to drop a sawbuck than take out a second mortgage to pay for an Ultra HD TV. We all know that tech pricing drops as technologies mature. Still, it’s been remarkable to watch this economic model in action over the past few months. Who said home tech innovations can’t be a spectator sport? …though I must admit, it’s not quite as much fun as watching Reddick pay the bills while talking sternly about innovation.